This super lovely workshop, hosted in our Marylebone creative den, guides you on making beautiful flowers, including roses and pansies, from V V Rouleaux's renowned collection of ribbons. 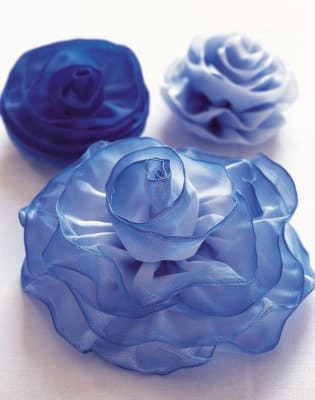 By the end of the course you will have made a selection of intricate blooms to take home and cherish. Use your exquisite creations to embellish cards, garments, and interior items, or gift to a loved one. Surround yourself with prettiness in our old-worldly shop and enjoy refreshments and good company as you craft. V V Rouleaux is a modern day atelier with a focus on the cutting edge of contemporary haberdashery. Based in London's fashionable Marylebone and Georgian Bath’s historic shopping district, the brand blends old-world know-how with fresh urban cool in treasure trove shops that include ribbons and lace, garlands and decorations, tassels and pom poms, hats and headdresses, and feathers and flowers. The darling of interior designers and major fashion houses, as well as craft aficionados and wedding planners, V V Rouleaux has an unparalleled pedigree of knowledge and a breadth of choice. 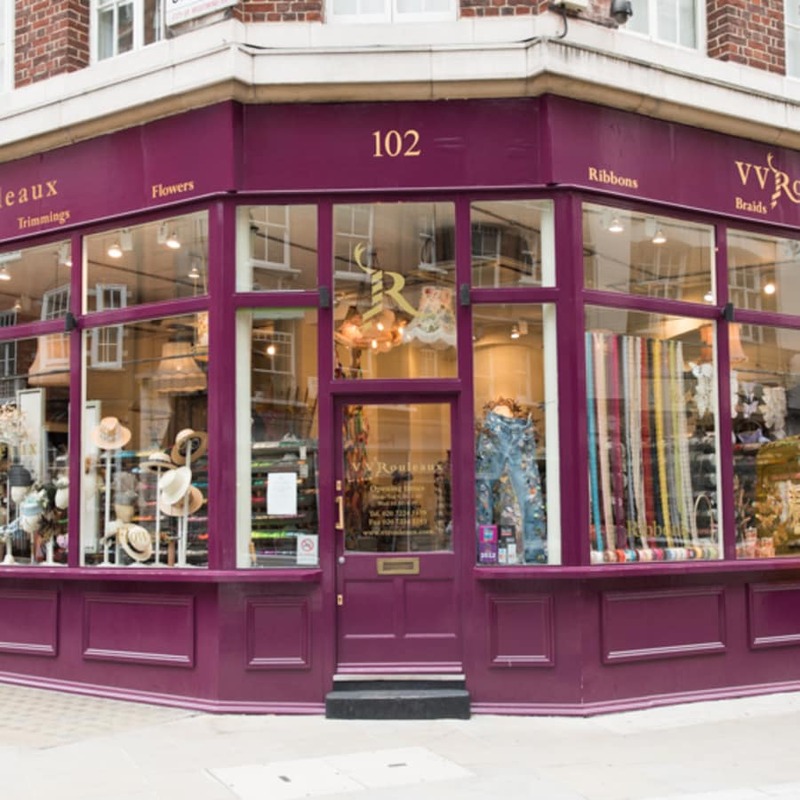 Famed for their creative flare and industry knowledge, the V V Rouleaux team pride themselves on their excellent customer service; whether you require colour matching, a custom hat creation, or project advice they will always go above and beyond to assist you. 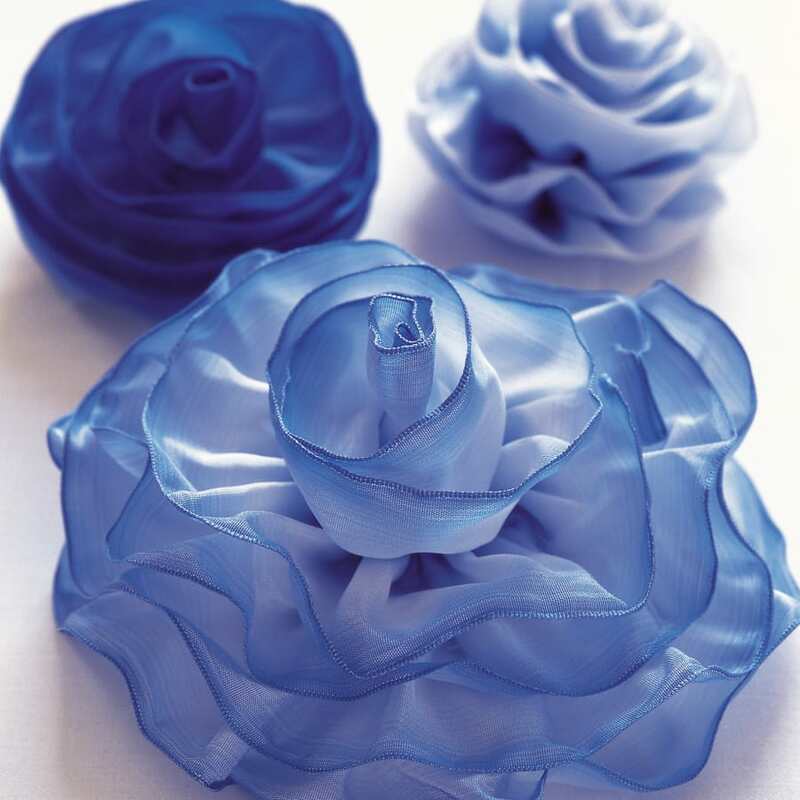 As well as bespoke services, V V Rouleaux host fun craft workshops showing you all the secret tricks of the trade, like millinery design, ribbon flower design, and tassel making. Refreshments provided to keep you going. Basic hand sewing skills required, but all materials are included.